3:00am EST: Was adding Google Checkout to my anime store last night...I suddenly browse over to Reddit.com before calling it a night and that's when I saw the terrible news I'm certain you all know of by now; an unheard of, 8.9 magnitude earthquake struck off the north east coast of Japan. 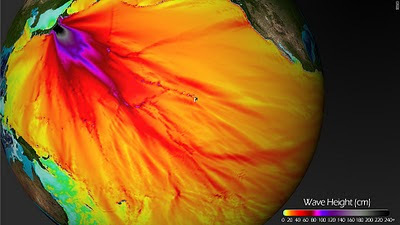 I've blogged about large earthquakes and tsunamis that happened off the coast of Japan, but in pure Japanese fashion, they usually took what the rest of the world would panic about and shroug it off. 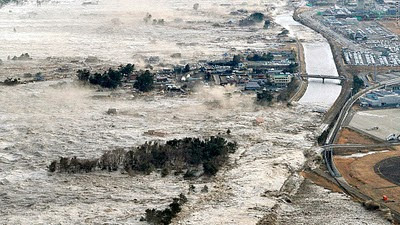 Sadly, this earthquake and the resulting tsunami, are not one of those simple annoying events for Japan. This one as you can see from all of the news broadcasts, images and videos...is something that hasn't been seen in a long, long time anywhere in the world. My heart dropped the moment I saw the devastation. Yes, like many of you I look to Japan as a place of inspiration, awe and honor simply from being an anime fan but obviously the human factor outweighs all of that. Being in NY, its a far ways away from Japan and I know many of you want to help. The best way to help is to Text: REDCROSS to 90999. Doing so will donate $10 to the Red Cross for relief efforts. The $10 charge will automatically be added to your phone bill. "U.S. citizens in Japan are urged to contact family and friends as soon as possible. If web access is available they should use twitter, Facebook or email JapanEmergencyUSC@state.gov. U.S. citizens in Japan are also encouraged to enroll in the Smart Traveler Enrollment Program (STEP) at https://travelregistration.state.gov/ibrs/ui/ or go to the U.S. Embassy or U.S. Consulates. Updated information about travel and security in Japan is available at 1-888-407-4747 or 1-202-501-4444." If anyone has other contacts, info, ways to help, feel free to leave it in the comments. Let's use the internet for what it's best at...keeping people in touch.